Previously published in the May/June 2015 Issue of OfficePro Magazine. A study by Pew Research has shown that women equal men in most qualities, such as intelligence and innovation, needed to be a good leader. In some areas, such as ethics and the ability to mentor employees, women are seen as equal or even better qualified for leadership than their male counterparts. The study found that one of the key reasons women are not in more senior positions is that, unlike men, whose leadership abilities are assumed, women have to obviously demonstrate their leadership skills in order to be promoted. Whether you’re a man or a woman working in a support profession in your office, you can be recognized as a leader. 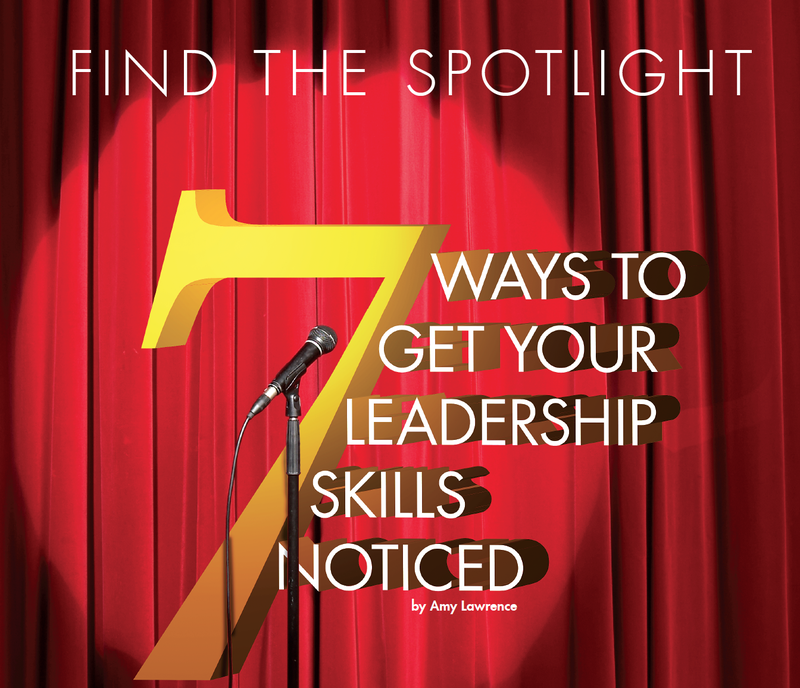 Below are a number of ways to get your leadership skills noticed so that you can rise to the top. Women are often socialized to be nice and say yes to any reasonable request. While this might work well in some areas of your life, it does not serve you well in the executive suite. The reality is, you need to say yes to those things that allow you and your organization to meet stated goals (these are the things on which your performance is graded). In order to free up the time to meet your obligations and still have a life, you need to say no to almost everything else. Women often spend valuable meeting time outlining their experience and skills to establish credibility. Don’t waste time justifying why you have been invited to the party, as it undermines your authority. If you were invited to a meeting or to be on a project, assume that you are qualified to be there, are there for a purpose, and that others value your ideas. Women are often socialized to be helpful. If someone is struggling with his work, it’s natural to want to pitch in to help. Studies show that women spend a disproportionate amount of time when compared to male colleagues on what Sheryl Sandberg and Adam Grant refers to as “office housework,” such as mentoring and coaching others. Often this work is not recognized and can be held against you if it takes time away from your other responsibilities. If you find that you spend a lot of time helping others, make sure that mentoring and coaching is part of how your performance is measured. Women, especially if they are mothers, are often used to explaining things over and over in order to be heard. If you explain things too much at work, it can weaken your position. Assume that your audience is smart and that if they don’t understand what you are saying, they will ask you for clarification. State things once: clearly, confidently and factually. Then, assume your message was received. While it rarely pays to be nice at the office, it always pays to be kind. One of the areas where many women leaders excel is in softening a hard message with diplomacy. While it is not fair, women who are very aggressive at work are more harshly viewed than aggressive men. Aim for assertiveness at all times; be truthful and firm, but kind. One of the areas where men are perceived to outperform women is in taking risks. Leaders drive business forward by taking calculated risks, whether it’s launching a new product, expanding into a new territory, or making an acquisition. If you want to be taken seriously as a leader, you must be comfortable with taking risks. If this is not something that comes naturally, take a class in risk management. Practice taking small risks in your personal life or with business issues where the stakes are lower to increase your comfort level with the process. Women are seen as superior to men at reaching a compromise but inferior when it comes to negotiating a more profitable deal. While win-win is ideal for many situations, sometimes business presents a win-lose scenario, such as negotiating price, trying to win a bid, or competing for a promotion. Practice negotiating for the win and get comfortable with disappointing others on occasion. As Isaac Asimov wrote, “It pays to be obvious, especially if you have a reputation for subtlety.” By making your leadership skills clear, you have a better chance of cutting through gender biases and ascending to the top of your organization. Once there, you can prove that women make excellent leaders and improve things for the women following in your footsteps. Do You Have Friends at Work? ← Do You Sound Credible?